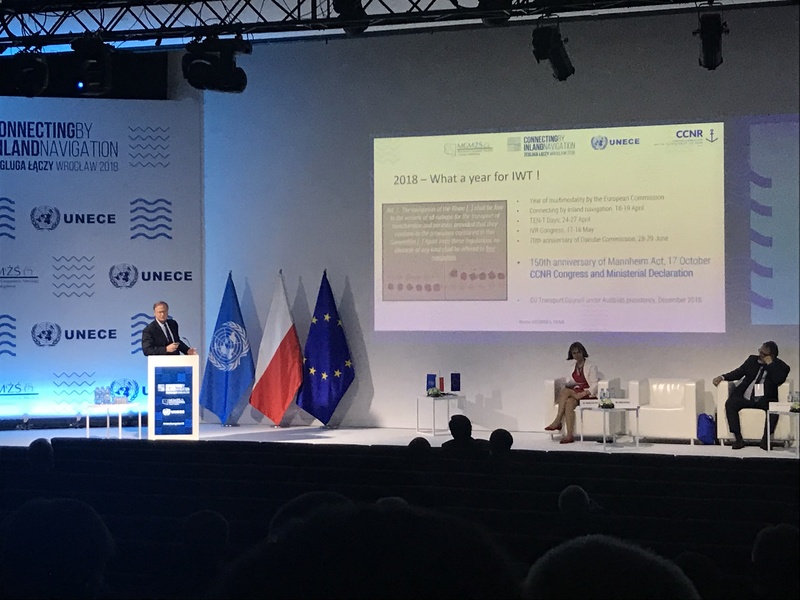 The International Ministerial Conference “Connecting by Inland Navigation” was held last week in Wroclaw, Poland. Project EMMA got positive attention, when it was presented at the stage by Wolfgang Hebenstreit, Secretary General of the European River-Sea-Transport Union (ERSTU) – one of the associated partners involved in project EMMA. 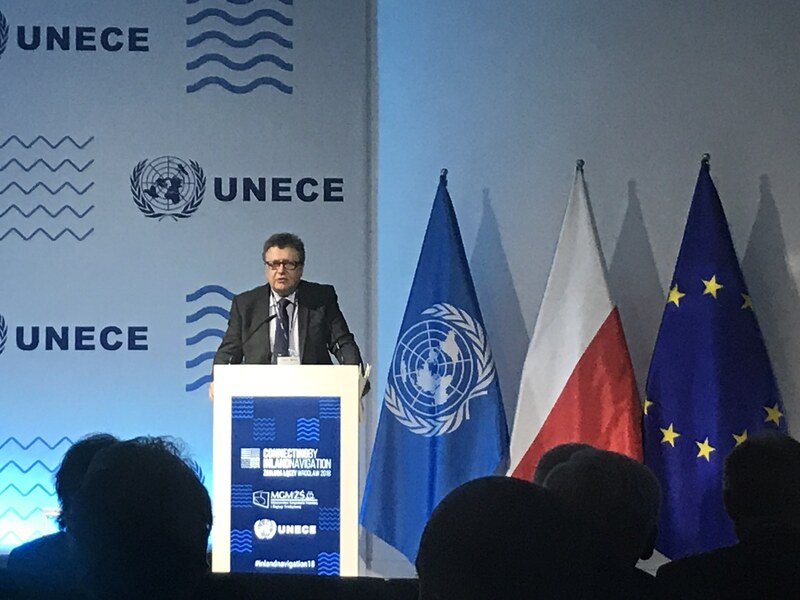 The conference was organized in cooperation with the Inland Transport Committee of the United Nations Economic Commission for Europe and the Ministry of Maritime Economy and Inland Navigation of Poland. It brought together key stakeholders, such as countries with vested interest in inland navigation, European Commission, River Commissions and intergovernmental and non-governmental associations, to discuss key matters, trends and challenges related to the development of inland waterways. The conference was opened by Marek Grobarczyk, Minister of Maritime Economy and Inland Navigartion, Poland. The importance of inland navigation in multimodal transport chains was outlined by Magda Kopczynska, Director for Innovative and Sustainable Mobility in Directorate-General for Mobility and Transport within the European Commission. Too often, IWT is regarded as an isolated island instead of a multimodal solution. As Andrey Vasilyev, Deputy Executive Secretary at UNECE put it, IWT constitutes a competitive alternative and a complement to road and rail transport and is often a key link in the logistics supply chain for many industries. It was stressed that multimodal transport should be seen as a matter of coexistence – not as a matter of competition. Fortunately, (re)developing IWT has now become a worldwide trend, as Harrie de Leijer, International Multimodal Expert at STC-Nestra, stated. The importance of IWT is growing in a number of regions across the world. Project EMMA, on its behalf, aims to increase the modal share of IWT in the transport chains within the Baltic Sea Region. The Conference aimed to increase the focus of policy on fostering the role of inland waterway transport. This is definitely needed, because despite the great potential, only 6 % of goods transported in Europe in 2010-2015 were transported by inland waterways. The conference also encouraged countries to maximize the potential of inland waterways. The speakers emphasized unlocking the potential of inland waterway transport, which can support sustainable transport systems and boost social and economic development. Furthermore, the conference addressed the challenges related to sustainable development of mobility with reference to inland waterway transport. All of these are key issues also when it comes to project EMMA, which tackles the challenges and opportunities focusing on IWT and aims to increase the modal share of IWT as well as foster a better integration of IWT in the transport chains. 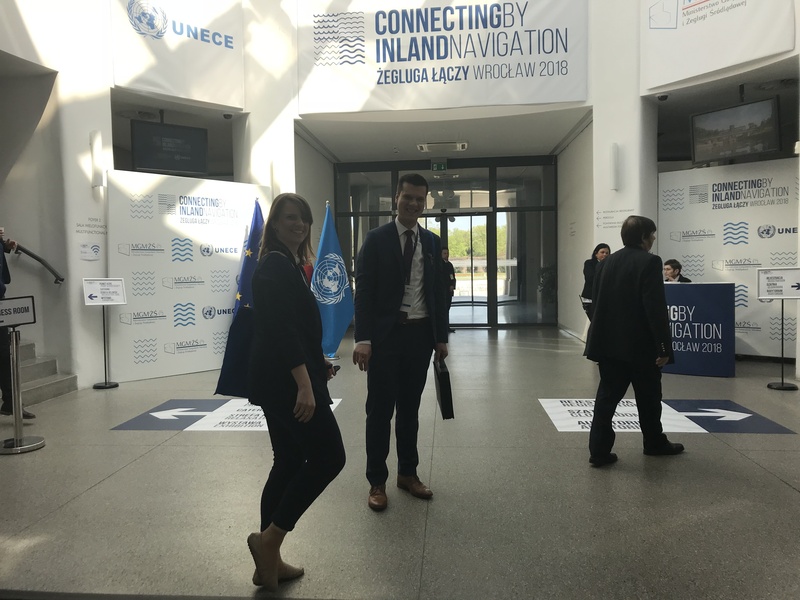 For project EMMA and other actors within the inland navigation sector, the ministerial conference provided an excellent opportunity to exchange experiences and ideas regarding the development and the future of IWT.